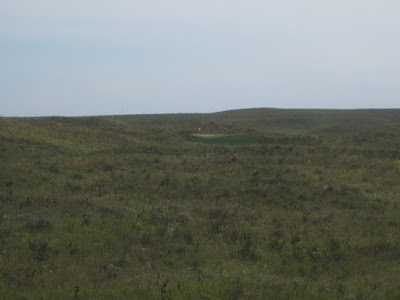 I recently went on a trip deep into the ranch-land of America playing courses in Nebraska and Colorado. This is the third in a series of blog posts about the 99 holes I played at these amazing courses. 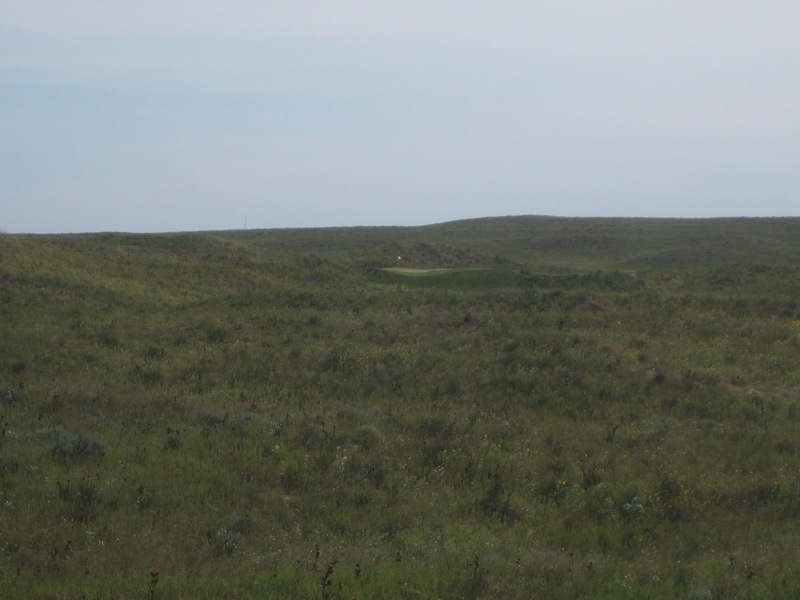 This remoteness means that if you find yourself at Ballyneal, you are only there for one thing, golf. 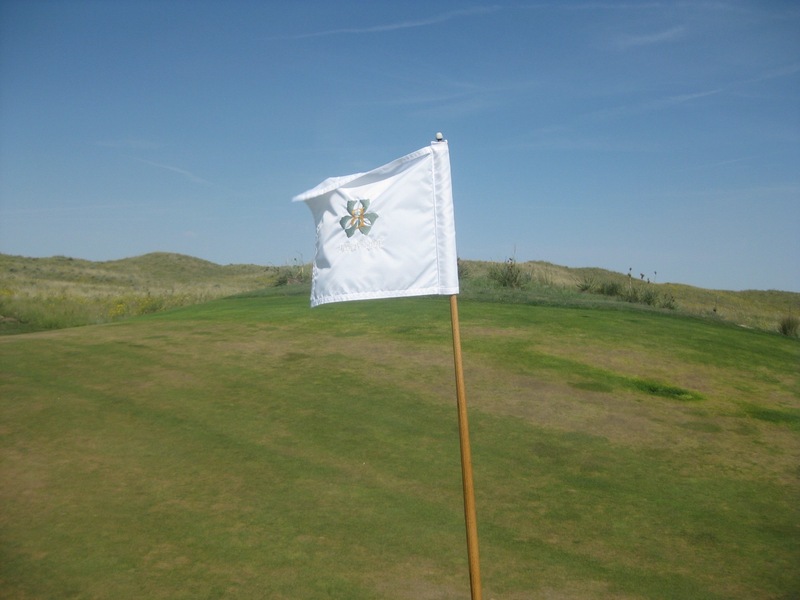 18 holes are on offer although reports and construction at the course suggest that Tom Doak's 13 hole short course are well underway. Once you actually get to the course, what is it like? The first impression that springs to mind is the amount of blind shots there are on the course. 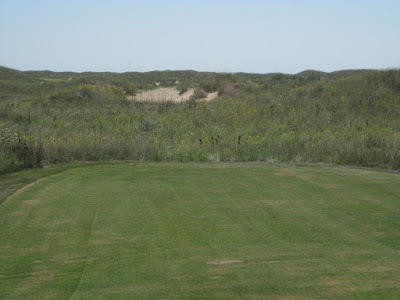 Tee boxes have blind shots, second shots have blind shots, blind, blind, blind! That's why on this course its critical to put your drive in the right position. 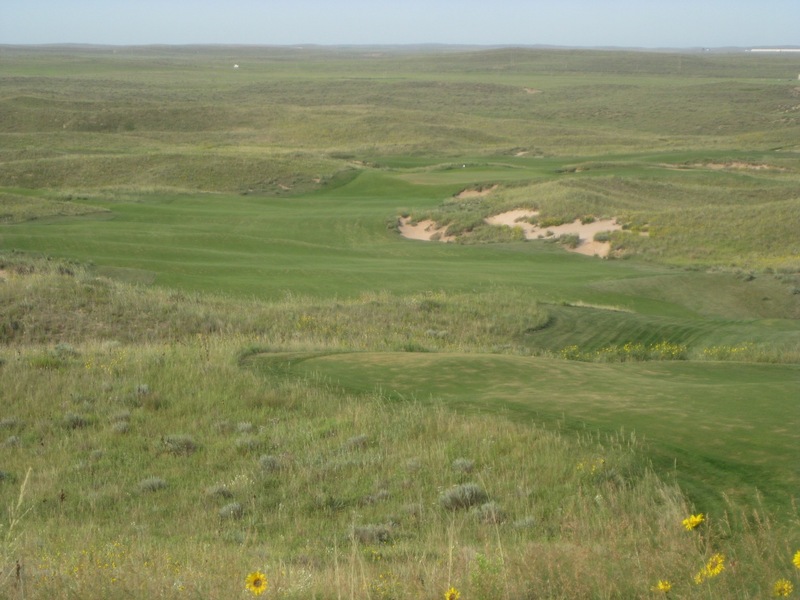 Many other courses allow for some wayward shots off the tee but Ballyneal puts a premium on having your first shot set up the rest of your shots. The fairways are no bargain either. I haven't seen so much slope on fairways in a long time. 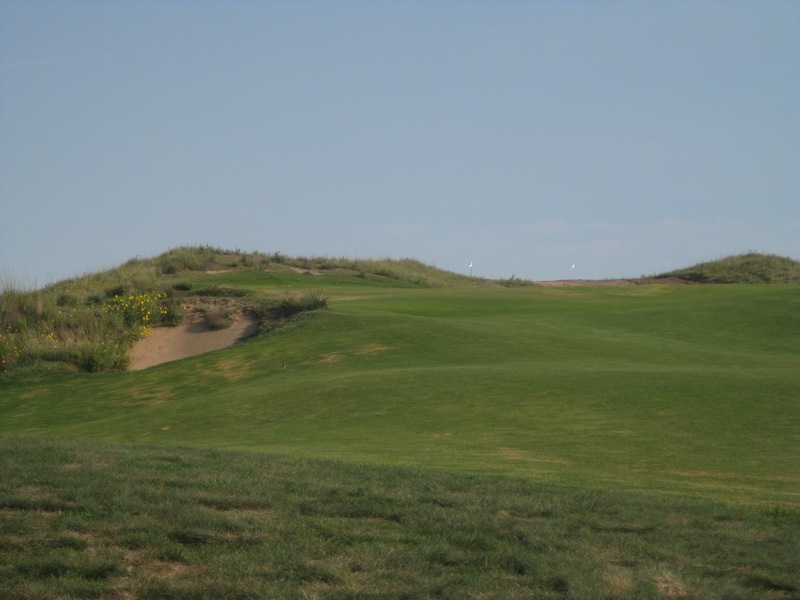 Doak also uses the fescue to strategically weave in and out of the fairways which can create narrow choke points and causing more than a few balls to be lost! 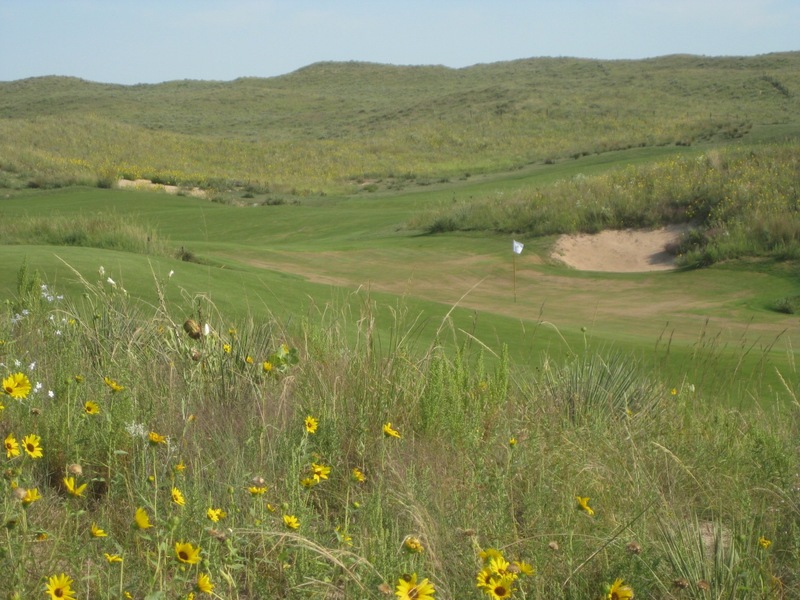 Assuming you have navigated your way to the green, the really fun aspect of Ballyneal takes hold, the greens. 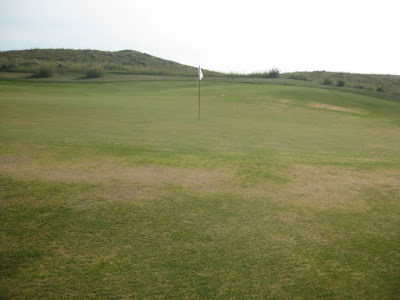 Not so much the putting surfaces themselves but the whole green "complexes" that offer you a variety of shots. If I was lucky enough to become a member of a private club that only has a limited number of holes, I would want those holes to offer as much variety and challenge as possible. If you are only going to eat one sandwich, you would want that sandwich to be as tasty as possible. You could hit your shot short and have it roll up the flat part of the green to the hole. You could hit your shot to the right of the pin and long and then have it roll up and back to the pin due to the backstop. If you were aiming left, you could have it roll down the hill. There are a variety of ways to get the ball on the green and many holes at Ballyneal are like this. 2) The bunkers were outrageous. 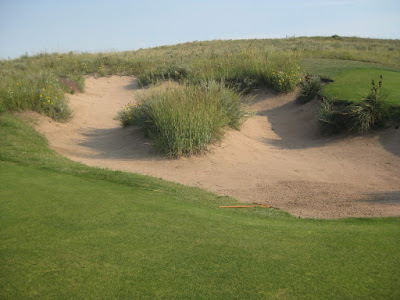 They are bunkers in name only as they really just seem to to be sand volcanoes springing up out of the landscape rather than being placed there and lord help you if you find yourself in one of them. 3) The staff is all super friendly including head pro Dave Hensley. If you make it down the many dirt roads and score an invite to the club, you will be well taken care of. They have a great group of caddies and everyone at the club make you feel very welcomed. 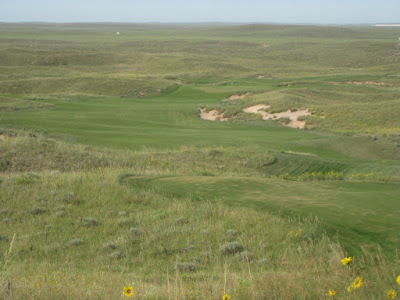 The only negative about my experience at Ballyneal was sadly the condition of the greens. I played the course in mid-August and the greens were very baked out. Apparently that part of Colorado experienced a full week of 100+ degree weather recently which did a lot of damage. Greenskeepers are often invisible but crucial to a course and at the top courses they have their hands full in keeping the course in premo shape but not having it die on them. Its often a thankless job and I thank Lance Lauer and the rest of the crew for keeping the course as well maintained as it was despite the conditions. The baking PLUS the greens being punched when I was there put a damper on things. I can't blame them, the course needed to be tended to and with their busy season being the Fall, I hit it at the wrong time. 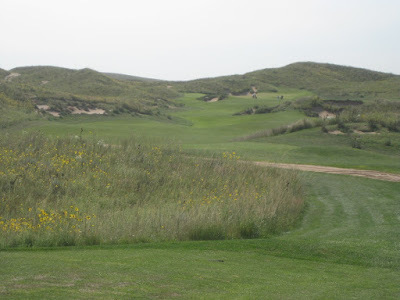 Still, I can see the greatness in this course and am saddened that I couldn't play it at its full potential. 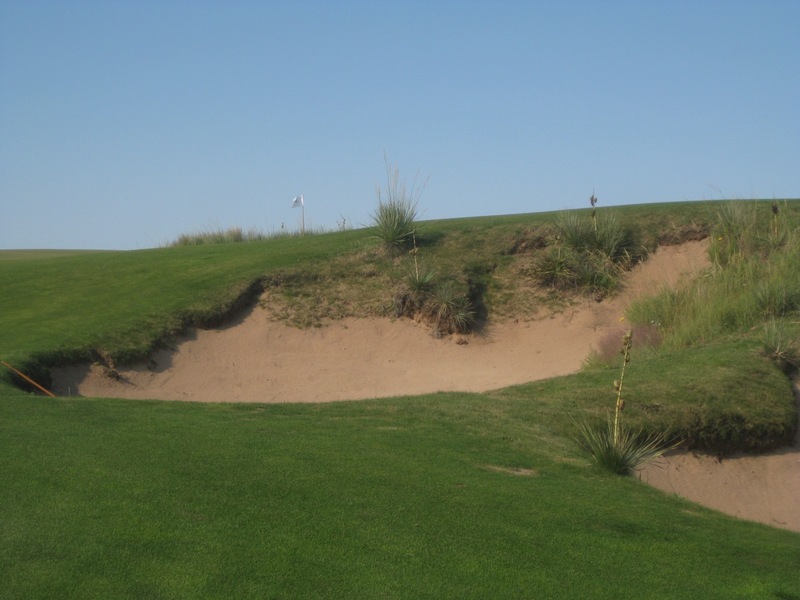 It reminded me of playing TPC Stadium, amazing undulations and fun to get to the hole but once there, well, you walk away wondering what could have been. 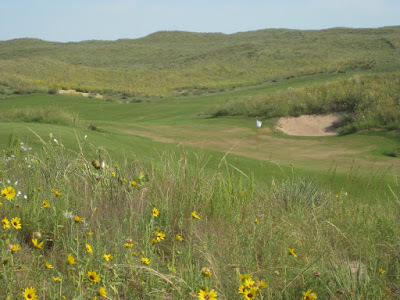 Overall, I really enjoyed my time at Ballyneal. It is a real thinking golfer's course, you need to be constantly thinking about your tee shot, you approach shots, how to play the greens. I can't remember the last course that kept me as engaged as BN did. 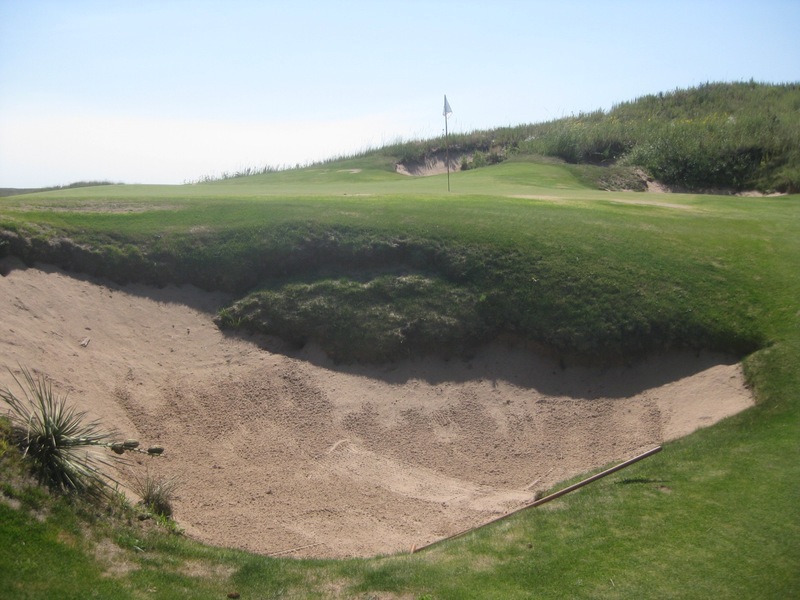 It truly is a Scottish links course with blind shots, fescue and many opportunities to bump and run your shots and if you ever find yourself invited to play you should go! 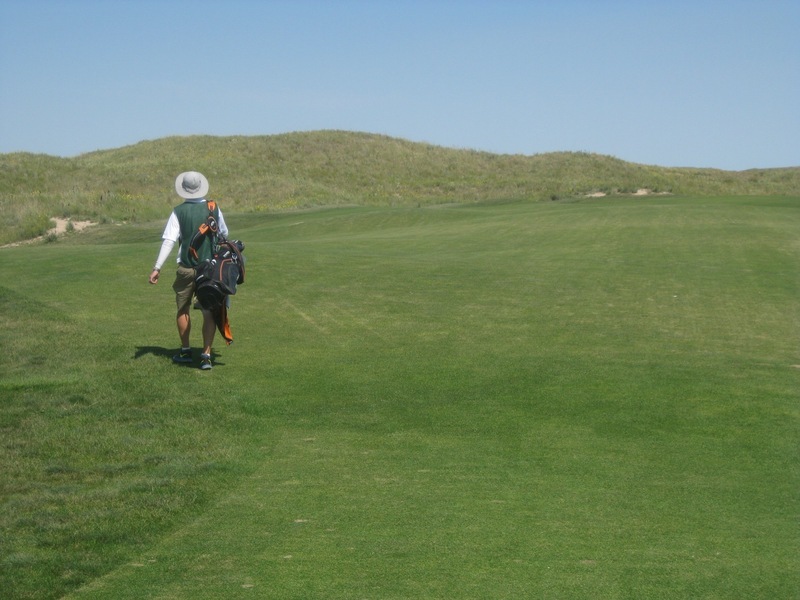 Peter, Glad you were able to enjoy Ballyneal. The place is beyond special. I think you wouldn't have felt there were that many blind shots after your first round. 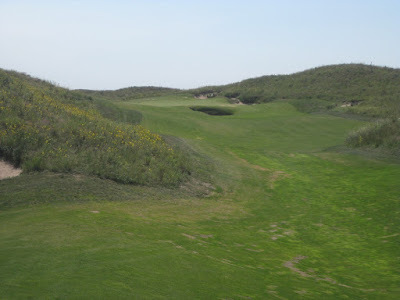 I'd say the course doesn't have any blind shots unless you provide them, ie) missing the fairway in the wrong spots (#4, 8, 9, 10, 12, 13, 14, 16, 17 to name a few). This is exactly what makes the course brilliant. FWIW the greens rebounded nicely after your visit. Glad to hear the greens rebounded! The course is so great, I can't wait to get back there again! Also, yea I didn't do myself any favors on some holes but the course allows for such a variety of shotmaking it was really fantastic. Thanks for reading!